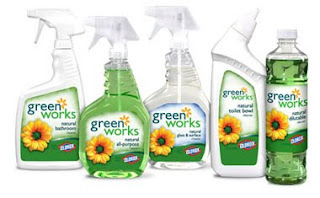 Free Clorox® Greenworks sample of your choice here. You get to pick from Natural Bathroom Cleaner, Natural All-Purpose Cleaner or Natural Glass & Surface. This is an awesome sample! I am now following your blog from Friday Follow. Looking forward to your posts. Have a great weekend. I'm following from Friday Follow! Katie and a49erfangirl I am going to follow you back now!